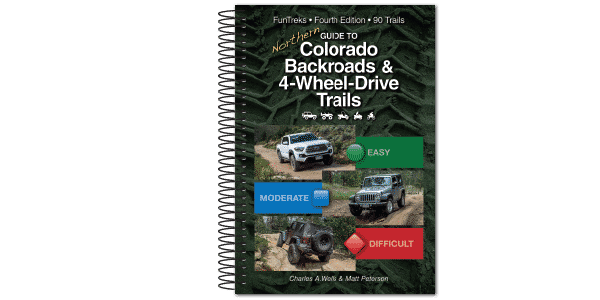 Challenging 4×4 trail goes north to Wyoming border. First part of trail weaves up and down tightly through the forest then levels out across muddy meadows. Part of trail follows western edge of Mt. Zirkel Wilderness. End of trail leaves you far from any services and actually crosses state border into Wyoming. A popular ATV and dirt bike area with great places for large campers and hauling trailers across Big Red Park. Popular hunting area in the fall. Open seasonally from June 15 through December 1, weather permitting. No hard-core obstacles, but trail is very muddy and rutted where it crosses open meadows. Finding a winch point may not be possible. If you get stuck, a second vehicle can be a great help.